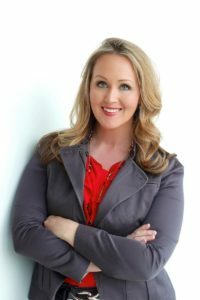 DENVER – April 18, 2017 – Powers Brown Architecture has announced that Lauren Amber Prestenbach RID, LEED AP ID+C, EDAC, has joined the firm in the new position of Director of Interiors. In this role, Prestenbach will oversee the firm’s Interior Design strategy and marketing efforts and be responsible for new business development in the Denver Market. Prestenbach is a Registered Interior Designer, LEED and EDAC accredited professional, and is an active member in IIDA and ASID. She has 15 years of experience in business development and interior design, specializing in corporate and healthcare interior architectural and facility optimization. Prior to joining Powers Brown Architecture, Prestenbach worked at ELEMENTS and served the Greater Colorado Area as business development in their Architectural Products Division specializing in DIRTT and flooring needs. She has 12 years as an Interior Designer in Houston, before moving to Denver. She is a graduate of the Art Institute of Houston. To learn more about Powers Brown Architecture, visit www.powersbrown.com. Powers Brown Architecture is a professional services firm with offices in Houston, Washington DC, and Denver. The firm maintains a diverse architecture design, interior design, space planning and urban design practice that spans from regional to international projects. Founded in 1999 by Joe Powers, AIA and Jeffrey Brown, FAIA the firm has built a reputation for specialized design and technical superiority, producing award-winning work and gaining recognition from local, regional, and national organizations.